Offering you a complete choice of products which include carbon steel flanges, alloy steel flanges, stainless steel flanges and ss flange. 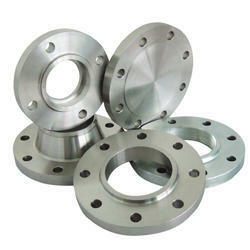 We trade in a range of Alloy Steel Flanges that are available at industry leading prices. Procured from leading and well established vendors, our alloy steel flanges are used in varied applications. Copper Alloy Grade: UNS No. C 10100, 10200, 10300, 10800, 12000, 12200, 70600, 71500, UNS No. C 70600 (Cu -Ni- 90/10), C 71500 (Cu -Ni- 70/30). 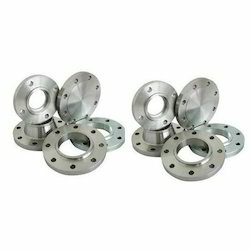 We offer our clients the highest grade of SS Flange that are truly in conformation to the latest market demands. 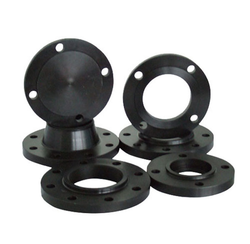 The flanges are used in an assortment of industrial purposes and are mainly used to connect pipes. These are considered as an important entity to support mechanical parts. 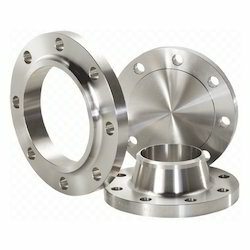 The flanges available in our company are customized in designs, sizes & shapes. Different applications of these flanges include hydraulic control systems for turbine generators, high pressure ground support missile systems, nuclear & conventional power plant applications & many more. TYPE : Slip-On/Weld Neck/Socket Weld/Blind/Threaded/Lap Joint/Orifice.